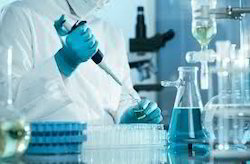 We offer wide range of Pharmacy Lab Instruments. To meet diverse requirements of our clients in the best possible manner, we are manufacturing, trading, wholesaling and supplying Animal Operating Table. This operating table is suitable for veterinary hospitals and clinics. The offered operating table is manufactured by utilizing high grade raw material & contemporary techniques in fulfillment with the set standards. 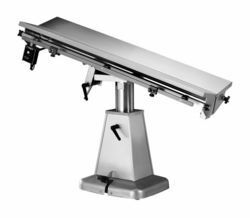 Offered operating table is obtainable with us in various specifications to choose from. In our extensive product range, we are engaged in providing a quality assured range of Pharmacy Lab Instruments. These instruments are widely used for testing purpose in pharmacy labs. Our adroit workforce manufactures these instruments making use of quality tested material and modern techniques according to the defined industry standards. These instruments are properly examined by our quality auditors on numerous measures of quality to ensure their quality. Our reputation in the market is largely attributable to our precision-designed Digital Rotarod Mice Shaft. This shaft is widely used to evaluate drug effects on motor coordination, balance and motor learning in rodents. Using quality approved components with the help of ultra-modern technology; this shaft is perfectly manufactured under the strict direction of our experienced workforce at our well-equipped production unit. In order to ensure its quality, this shaft is stringently inspected against several parameters by our quality examiners. Looking for Pharmacy Lab Instruments ?